U19 Championship. 17th round. November 28, 2016. Schaslyve. Knyazha Arena stadium. Att: 250. 5 oC. In the table, Shakhtar sit in the sixth spot having 24 points after fifteen games. 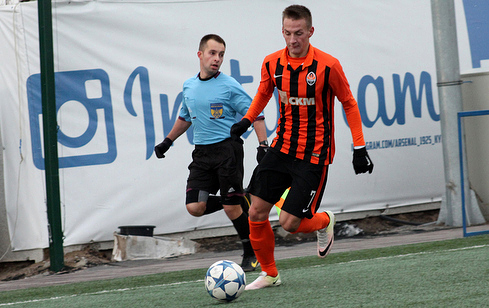 In the previous round, Shakhtar Donetsk drew with Zorya (2-2). Volyn are in the 12th place (17 points). This said, Lutsk lost three most recent away games. The first-leg meeting between the opponents ended in the Pitmen’s away win (4-1). From the off, Shakhtar tried to play on top, but Lutsk featuring some current UPL players, who bravely met the hosts in the middle of the pitch and imposed their game. The battle for dominance in the game lasted for about half an hour, and during that time the teams did not score any goals. 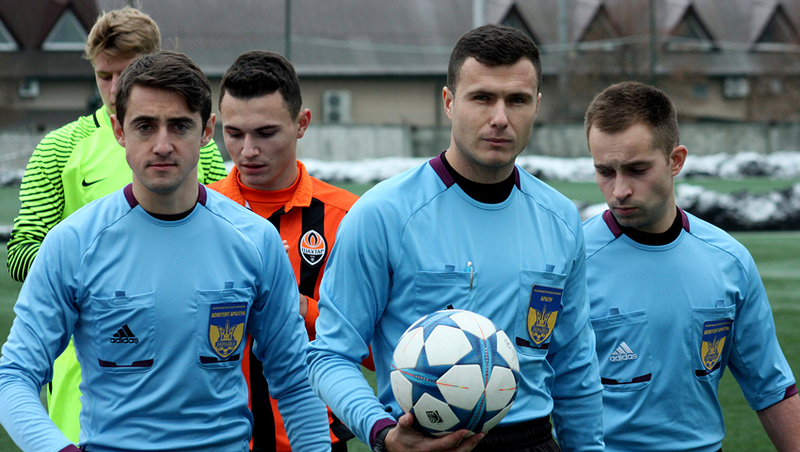 Midway through the first half, the charges of Serhiy Popov managed to launch a series of dangerous attacks, and even though they did not lead to any goals, they marked the Orange-and-Blacks’ edge. Thus, the shot by Andrushchenko was parried away by the goalkeeper, with Topalov curling the ball a couple of centimetres from the post. 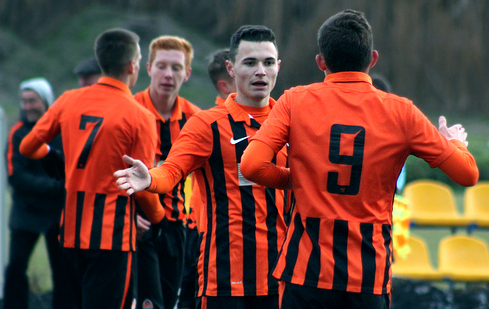 Teammates brought Kashchuk through on goal, with the latter having a good chance to open the scoring. Oleksiy was targeting the near top corner, but his strike was unsuccessful. 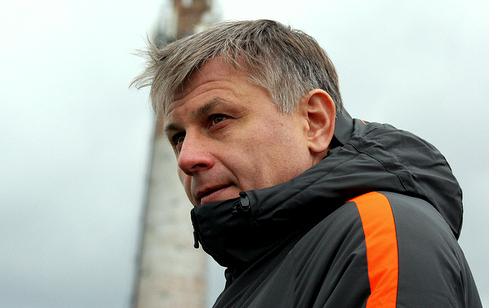 By the opposite goal, Yevhen Kucherenko – who had debuted in the U19 league – operated safely and reliably. Pressure from the Pitmen after the break was only growing, with the crossbar rescuing the hosts almost one hour into the game, on 65 minutes the ball hit the back of the net. A blistering wing-to-wing attack ended in a cross by Kuzmenkov into thepenalty area, where Oleksiy Kashchuk’s volley hit the net and make it 1-0. The scored goal forced Lutsk to expose themselves, with Shakhtar getting space for counterplay. Kulakov and Kuzmenko lost their chance to make the score bigger, but on 77 minutes into the game, Volyn got short-handed: Kulakov got one on one with Franchuk, flicked the ball past the goalkeeper and was brought down near the edge of the penalty area. However, the referee showed just a yellow card for the desperate foul. Yefym Konoplya stepped up to take a free-kick, but his attempt towards the far post was turned for a corner by the goalkeeper. On 83 minutes, Oleksandr Porodko appeared for Shakhtar, earning a penalty after a brave attempt to dribble the ball past an opposing player. The spot kick was successfully converted by Dmytro Topalov to make it 2-0. And in the last minute of normal time, the Donetsk team orchestrated a classic counter-attacking move, with the central defender Valeriy Bondar spearheading it. Facing Franchuk, he passed the ball to Topalov, with the latter just rolling the ball home. 3-0 - Shakhtar for the second time claimed a major win against Volyn this season, preparing for the closing match before the winter break. On December 4 in Schaslyve, the Pitmen will have the postponed 10th round game against Karpaty. - It was a good encounter, especially in terms of attacking performance – both ours and that of the opponents. Although we have produced a confident defensive performance today, not allowing them to create any chances near our goal. In the first half, Lutsk imposed their physical challenges upon us, playing well when picking the ball. Our players spared themselves at times, avoiding collisions at other moments. Even taking that into account, we created some great chances, but failed to convert them. In the second half, we were superior to the opponents both in terms of technique and challenges for the ball. After the first goal, it got easier: there appeared opportunities to counterattack, which we took advantage of. I can only praise the guys for today's performance.